16 Years Till Summer is a painfully seductive portrayal of a person returning to his village after spending 16 years in prison and his attempts to re-build a normal life. 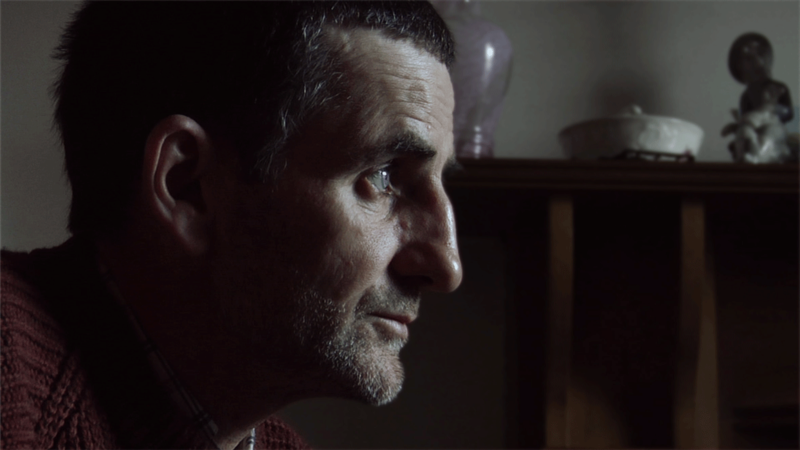 Set in the healing and beautiful landscape of the Scottish Highlands, the film inevitably explores the theme of redemption but the director’s main focus is on the trusting relationships Uisdean builds with his father and lover; both of whom are inspired by the ‘new start’ he promises to share with them. 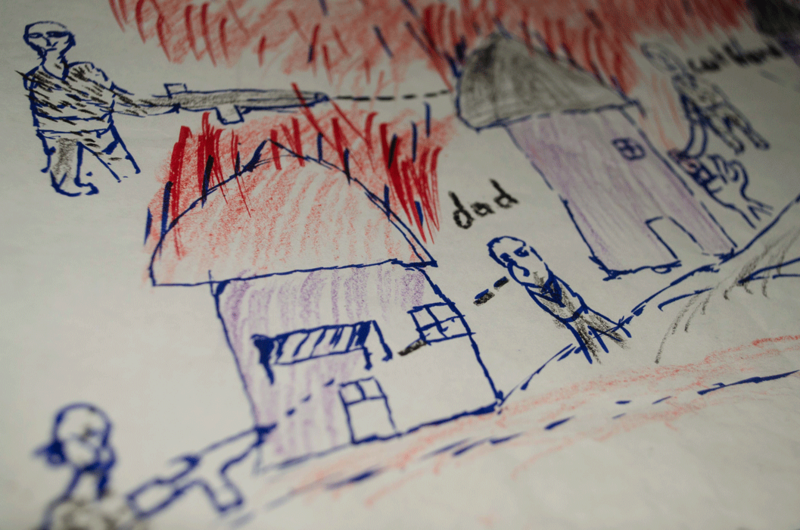 The story becomes both engaging and complex, tragic and thrilling. As Uisdean attempts to escape the tragic events of his past and reinvent himself with the help of those that love and need him, we are taken on an unexpected journey that turns initial assumptions upside down. Using cinematic techniques to deliberately blur the line between the fairy-tale of the heart and the rational judgement of society, 16 Years Till Summer is a hybrid of heart and head, magic-realism and documented tragedy. Emile Noel, Celestine, Shadreck, Nitanga, Dinaka, Merci and Tumukunde are boys and girls ran away from the war in the Democratic Republic of Congo, arrived in Zambia without parents, in search of refuge, eager to start a new life. “A better place” tells the difficult daily reality experienced in Zambia and the hopes cultivated for a different future, in spite of everything. Dario, Charlie, Donatella, Claudio, Pino and the others are getting ready for a new show that will be staged at the Stabile Theatre in Trieste. They assert to be mad. On the other hand, if they are actors today is thanks to Franco Basaglia and to the revolution that found its epicentre in San Giovanni in Trieste in the 70’s. This is a film that wanted to be about the Academy of Madness, but which joyfully ends up being a film with the Academy of Madness. Can anyone live in jail, within a land surrounded just by walls and prohibitions? Can you figure out what it is like not knowing what is there on the other side, to be a prisoner in your own city? 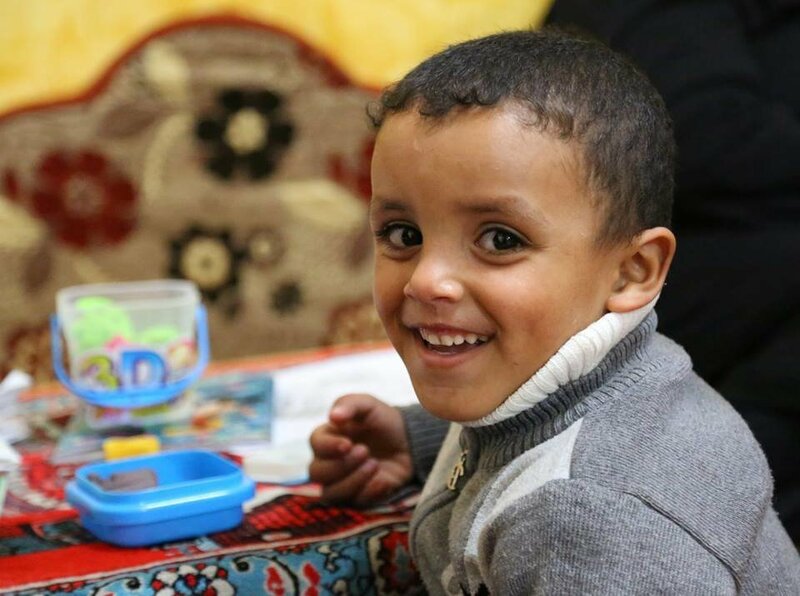 “Dreams behind the wall” is the story of two kids: Shada, born in Gaza and Ahmed, in Cisjordania, who talk us through their fears, but also through their dreams. They, as starring roles, are the link that helps us get to know the life of their families, and hence, that of the entire Palestinian people. The uniqueness of Antonio is his absolute pitch. Only one out of 10,000 people has it. This is the ability to recognize a note just hearing it. Mozart and many great musicians had it. But in another facet Antonio is more common: he has autism. One out 80 people has autism. 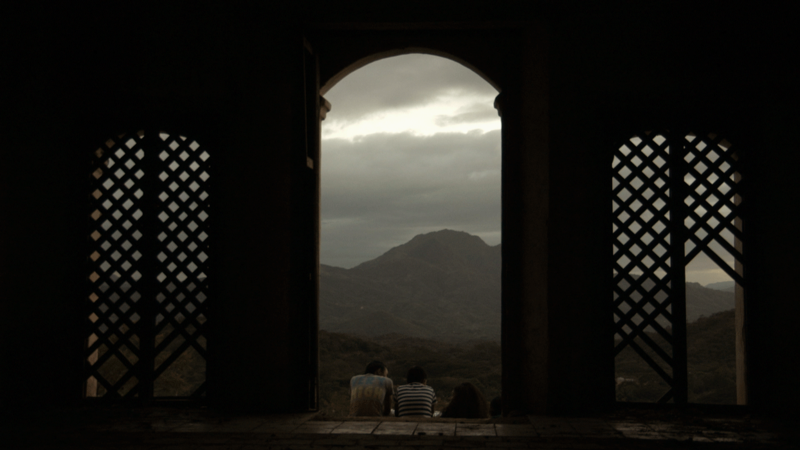 “En Tránsito” deals with the realities faced by thousands of Latin American mothers who travel to Europe alone in search of financial stability, and the consequences of the long-distance transnational relationship they establish with their sons and daughters. These are extreme situations which aren’t discussed or known about and will have significant repercussions throughout their lives. In the midst of the Belgian forest, Eurovillage – a former holiday resort – has been converted in 2011 in a reception center for asylum seekers. Isolated in this remote place for an unspecified period of time, the residents are waiting for a stressful answer: will they be allowed to stay in Belgium or not? How do they live through this long and strange “journey”, disconnected from real life, suspended between their past and an uncertain future? Young street vendor Soe Ko lives in a small village on the Irrawaddy River in Myanmar. He’s in love with Saing Ko, a quiet mason from another village, and dreams of a wedding with all the trimmings. But Myanmar is governed by a military regime and marriage between two men is strictly forbidden. Homosexuality isn’t accepted and many homosexuals suffer stigmatization and discrimination. In this little community, however, there is an exceptional, small circle that does welcome homosexuals. A human rights activist, a schoolteacher, a shaman and a beautician decide to make a marriage between the two young lovers a reality. The film follows and observes them closely during the preparations for the wedding. Even though everything has to be done in secret, they receive help from all sides. Housewives from the village prepare a wedding meal and Buddhist monks perform the official ceremony. The wedding cumulates in an exuberant celebration that shows that love refuses to be oppressed. In 2008 the Indian Government launched an initiative to train 500 million of the rural poor to work in its growing industrial sector. This film tells the story of two village girls, Bhanu and Bhuntu, whose induction into the working world is overseen by Orlanda. Orlanda works with a company that places girls into textiles factories to produce clothes for corporate giants such as Gap. As Bhanu and Bhuntu travel to the city to take their places as part of India’s business- friendly future, the reality of life on the factory floor forces all three of them to face questions of social justice, family loyalty and the role of corporate responsibility. Shocking picture. In Marseille, 2012, young students Julia and Auriane stood up to posters against gay marriage and abortion, offering a snapshot that soon became a reference in terms of anti-discrimination civic action. Opposing them stands a homophobia that pretends to be invisible, taking advantage of the equal right movement to shamelessly parade. 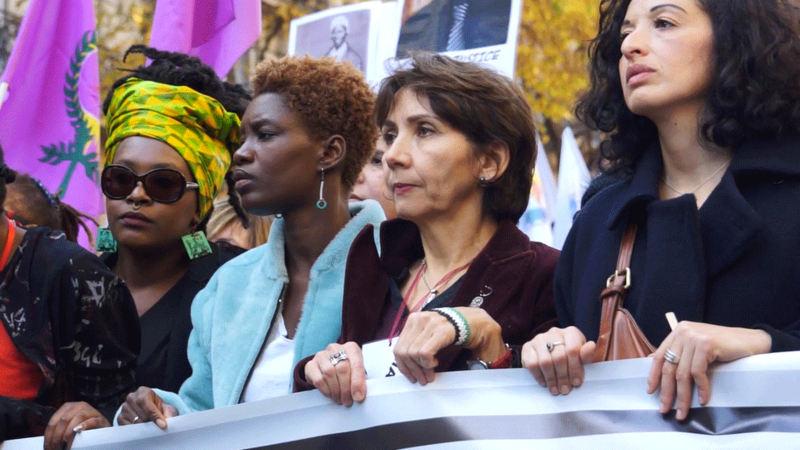 Between a progressive bill and a new homophobia, we delve into an image that bears witness to the state of the relationship between France and homosexuality. This year, things get tough. This year the Afro-Napoli United has passed to the higher national youth football league. It is almost a dream to many foreign players from Ivory Coast, Cape Verde, Senegal and Brazil without a resident permit. Every Saturday, their stubborn coach Antonio phones them one by one to summon them for the match. Each of the players has an intriguing story. Maxim fled from a country at war, Ivory Coast, where he was a promise as a football player. Adam dropped out of school, and plays as goalkeeper and part-time acrobatic bartender. Lello has a son living abroad. He is stateless. He wants to have a better chance., but Italian laws on immigration are as restrictive as tangled in a jungle of “beaurecrazyness”. Throughout all these diffiulties, Antonio fights his way to keep the team together. 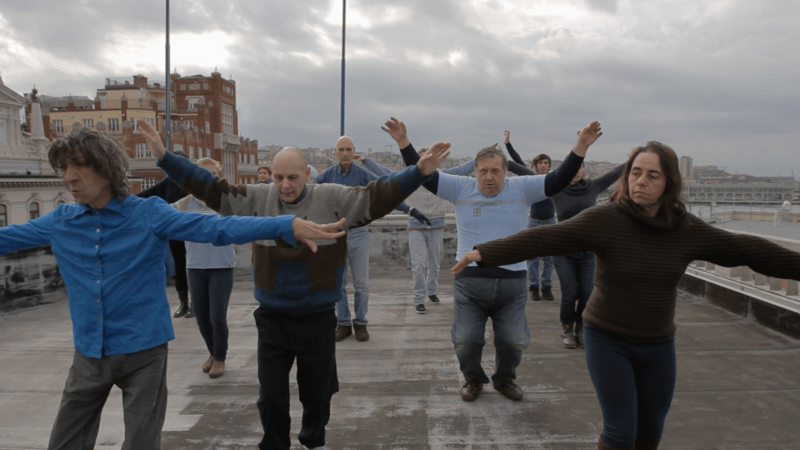 “Afro Napoli United” tells a personal, emotional story of social integration that goes far beyond migrants’ rights. After a serie of crimes against Afro-American people in many American cities, particularly the sad event of Michael brown’s death which happened in Ferguson, the world noticed that a new generation of activists emerged. With unexpected new means of communication, they both succeeded in informing and mobilizing the international opinion of police violence against black people. Beyond the shock and the turmoil felt by the Black community, how does this population deal with this situation on a daily basis? Are we witnessing a new form of Apartheid? Who are these young activists who saw a black man acceding to the White House whilst they still hardly had the right to vote? Coming from popular circles, or being religious leaders or simple students, they come within the scope of their elders (Martin Luther King or Rosa Park) even if they do claim their independence from the historical civil right movements. This is a bitter assessment for them to realize that their country is not done with racism. In May 2013, a dozen tree defenders launched a protest movement at the heart of Istanbul’s Gezi Park on Taksim Square with an aim to conquer Turkey and oppose the authoritarian establishment. 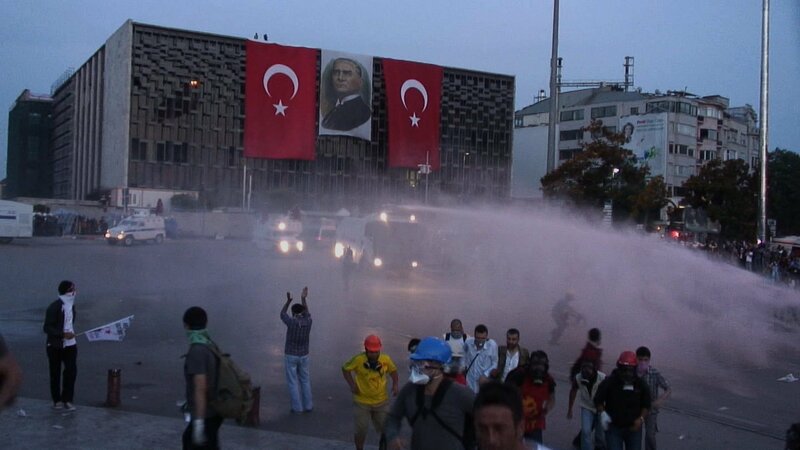 Fiercely opposing this eruption of freedom, Prime Minister Erdogan sent in numerous police convoys armed with tear gas and water cannons resulting in thousands of injuries including six deaths. To this day Erdogan continues this politics of fear, still spreading lies and twisting news to try and disband the opposition movement. The fight of the çapulku (meaning “vagrants”) – as Erdogan calls them – is born from a long-lasting fight against replacing entire boroughs in Istanbul with American-style buildings and shopping centres: Gezi Park’s fate as conceived by Erdogan. Against this destruction of Istanbul, the people of Taksim stood up and yelled: “The park belongs to us, Istanbul belongs to us”. Hannah Arendt, one of the most influential thinkers of the 20th century, both lived through and wrote about the open wounds of modern times. 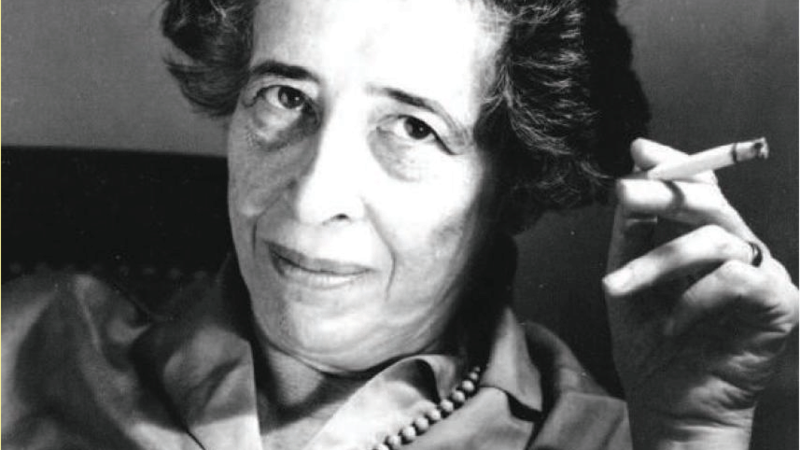 Today, Arendt evokes renewed interest as her insights into the nature of evil, the plight of refugees and totalitarian ideologies sound more relevant than ever. n a little Christian Arab hair salon in Haifa, Israel, the director installs a camera over the washing basin. As she washes their hair, she converses candidly with the salon’s clients, who are Arab and Jewish, on topics ranging from politics to love. What emerges from these conversations is an honest and nuanced portrayal of contemporary Israel.